Yesterday, I decided to make the Pioneer Woman’s Chicken Parmigiana for the first time ever. 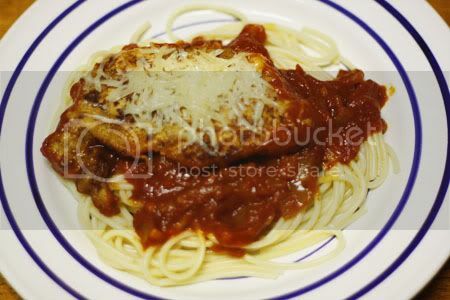 Chicken Parmigiana is one of my favorite Italian dishes. I love, love, love it. But let me just disclose this right up front — the sauce in this dish is *sweet*. And I’m not a fan of sweet marinara sauce. I like my marinara tangy. 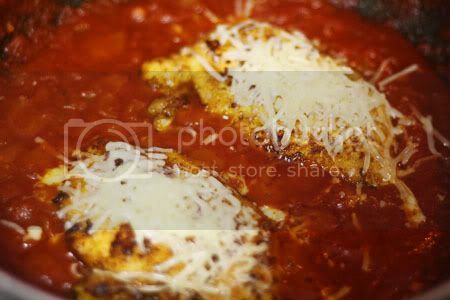 So, even though I love and admire the Pioneer Woman, I will continue to search for the perfect Chicken Parmigiana dish. 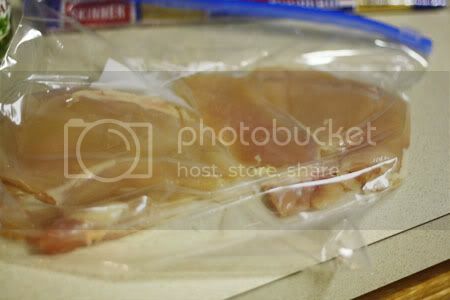 First, put the chicken breasts in a Ziploc bag and pound to thin with a kitchen mallet. I’m not fancy like that, so I used a heavy can. 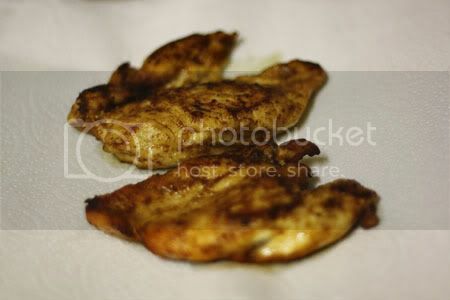 Mix flour with some salt and pepper and dredge the chicken breasts in it. 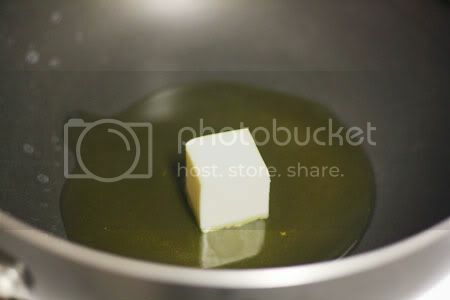 Put the butter and Olive Oil in a large skillet and warm on Medium heat. 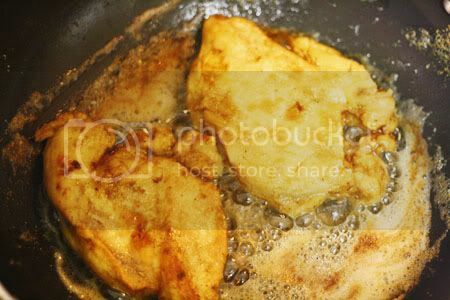 Add the chicken breasts to the skillet and cook until one side is golden brown. Flip ’em over and brown the other side. Once they’re nice and toasty, remove them from the skillet and set aside. 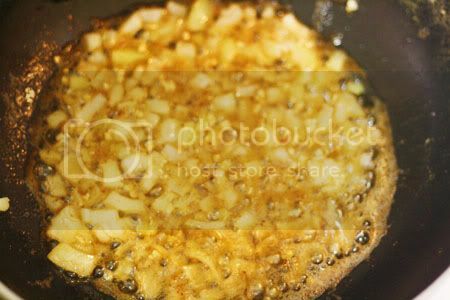 Now, *don’t* clean the skillet. 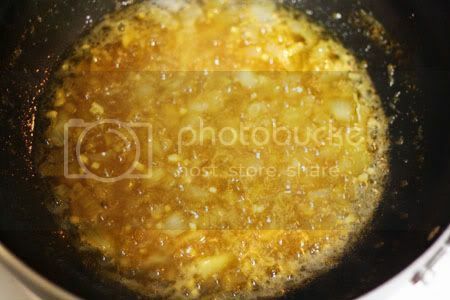 Chop up the onion and garlic and add it to the juices. You want it to be nice and golden. Let’s pause for a moment so I can tell you about these super-awesome herbs I use. I like fresh herbs just as much as the next gal, but I have to buy fresh herbs each time I use ’em cause they go bad before I have a chance to whip up my next recipe. So, I found these freeze-dried herbs at our local grocery store. They’re great, because you use just as much as you would fresh herbs (You know how you have to use less if you use a dried herb? Not a problem with these!). 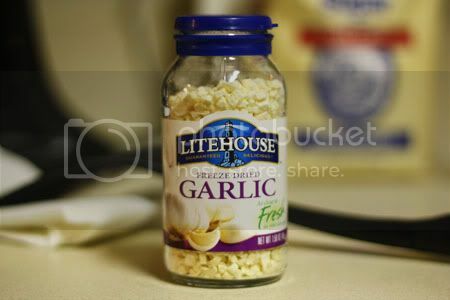 Plus, no refrigeration required — just stick ’em in the cabinet and use them the next time you need ’em! 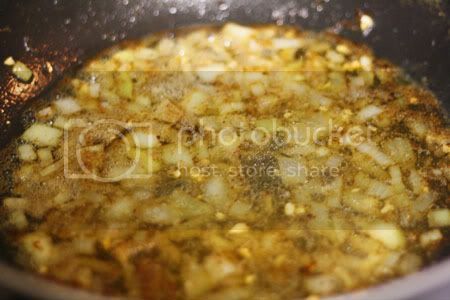 Here’s where you add some white or red wine to the onions and garlic. I like a little wine with my dinner. I used some of our wedding wine. We still have about a dozen bottles of it in the pantry. 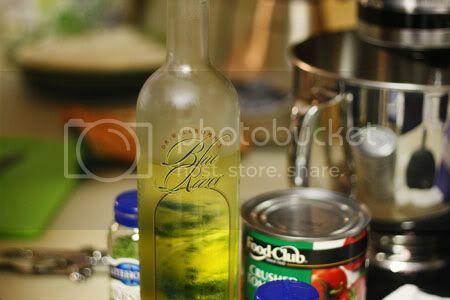 It’s a sweet Riesling, which probably didn’t help with the whole sweet marinara sauce. Oh well. You live, you learn. 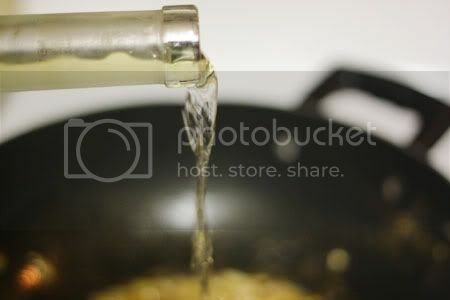 Give it a minute to reduce and cook off some of the wine. 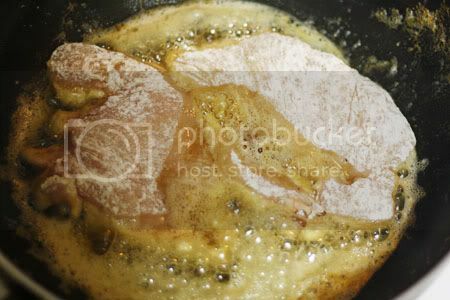 You want it to be a nice golden brown color when it’s through. 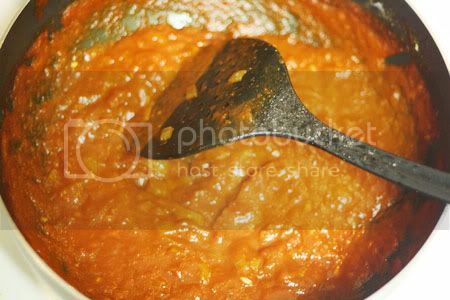 Now, add in the crushed tomatoes. Let it simmer for about 25-30 minutes. 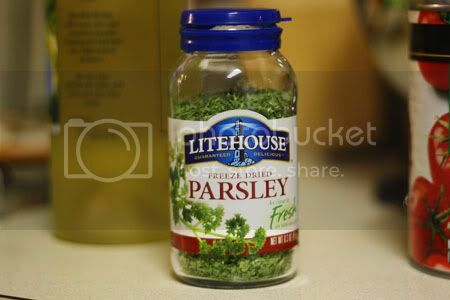 Stir in the parsley and drop in the breaded chicken breasts. 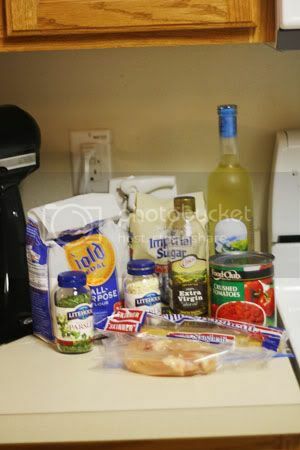 Cover the chicken with shredded Parmesan cheese and cover the pan. Cook on low for a few minutes to let the cheese melt. Serve with spaghetti topped with sauce and the chicken.